I know the Thunder are dealing with a number of injuries right now and will be playing in the 2nd game of a back-to-back set, but this line has simply been inflated too much. Oklahoma City is more than capable of keeping this within double-digits. The Thunder still have some quality players healthy and just recently got back a big piece in guard Reggie Jackson. The other key here is that Toronto isn’t going to be highly motivated to beat OKC without Durant and Westbrook, especially with a big division game on deck at Boston tomorrow night. It’s also worth noting that the Raptors have a history of playing down to their competition at home. 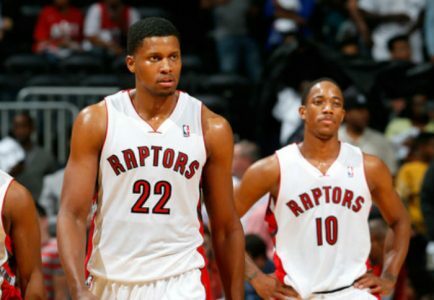 Toronto is 0-6-2 ATS in their last 8 home games against a team with a losing road record. BET THE THUNDER +11.5! 4x Top 20 NBA Handicapper L6 Years ! Steve Janus is on an AMAZING 11-3 (79%) 5* Top Play Hot Streak and is a DOMINANT 454-369 Over L823 5* Top Plays Overall, which has his $1,000 Players Profiting $46,430! Don’t make the mistake of betting against a proven expert. Cash in a winning ticket on Tuesday with Steve’s 5* NBA Blockbuster Blue Chip Top Play! This special offer is yours for the low price of $35.95 and best of all it’s GUARANTEED TO PROFIT!